CES 2018: The only thing that could possibly warm us techies up in January is one of the largest electronics trade show. With an explosive kick-off, here’s every announcement that your Android-infested mind should look out for. All the big names in the tech industry have gathered in Las Vegas, Nevada once again this year. The motherlode of all electronic trade shows, CES 2018 is the epitome of tech innovation brought to the commercial world. Consumer Electronics Show has been running strong for more than half a century, and the anticipation doesn’t seem to fade. Kicking off on January 9 to January 12, CES 2018 is the prime attraction for tech companies, professionals, journalists and regular geeks from across the globe. After the record-breaking show last year, CES 2018 is already lighting up the Las Vegas Convention Center. The Updato team is just as excited about CES 2018 as you are, covering the latest and greatest offerings in the realm of Android. With the event halfway through, we’re catching our breath to report the most eye-catching announcements of CES 2018 so far. The biggest player in the mobile and tech industry, the South-Korean company has a reputation to live up to. Samsung kicked off the CES 2018 keynote season with a bunch of exciting announcements, all the way from next-generation appliances to smart TVs. Samsung is most likely holding back on introducing the Galaxy S9 for the Mobile World Congress (MWC) event in February. The company did unveil cool new tech for the smart homes of the future and the people that’ll own them. Internet of Things will be the next big thing in the tech industry and Samsung will be at the forefront. SmartThings is already shaping the futuristic home with monitoring kits and smart power outlets, but now everything will be intertwined. 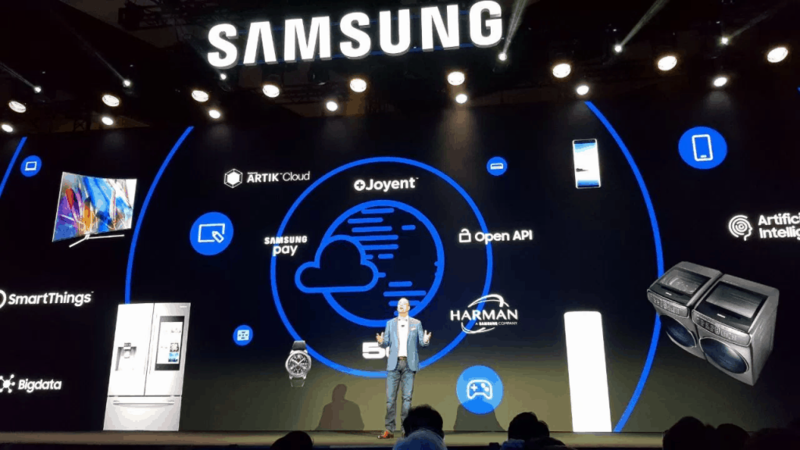 SmartThings cloud will work for all Samsung devices, along with integration for the Harman Ignite Platform for automobile smart connectivity. Helping users visualize the smart home devices, the Samsung SmartThings app will turn your TV into the central control hub. From checking the security cameras to turning off the lights on the porch – you’ll be able to control all of it right from your SmartThings app. The Gear S3 smartwatch will also receive the SmartThings app, so you can control other smart devices from your wrist. 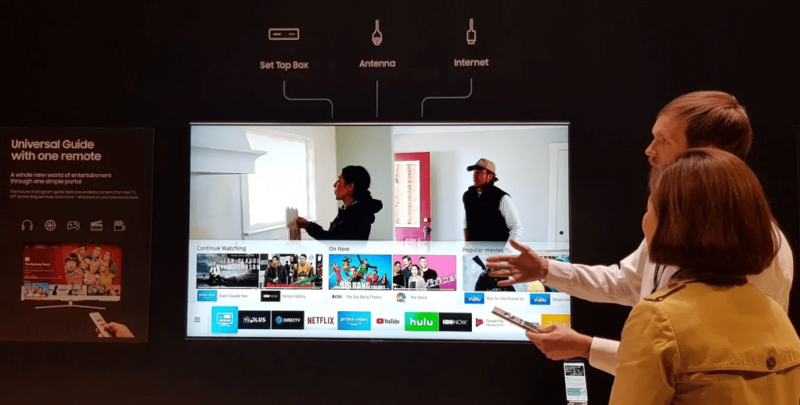 There’s no shortage of innovative Ultra HDTV devices at the CES 2018, with everyone is fixated on Android TV. Samsung is not bowing down to Google Assistant yet, giving its own virtual assistant a giant push by integrating it with the new generation of Samsung TVs. It is looking to eliminate the need Amazon Alexa and Google Assistant by building the listening tech into your TV. Samsung also showed off a smart fridge with a built-in display and Bixby support, which redefines what smart appliances mean. The company simply couldn’t resist the temptation of showing off the hardware for the upcoming flagship Android device. Samsung unveiled the Exynos 9810 at CES 2018, which will likely be on the specs sheet of the Galaxy S9. According to the official press release, The Exynos 9 Series 9810 SoC will enable smoother multi-tasking abilities and cut down loading times for mobile apps. The octa-core CPU clocking at 2.9GHz that is built for performance and an improvement over the previous generation by 40%. Despite manufacturing its own products every now and then, Google continues to maintain its identity as a software company. While the Mountain View company did not unveil any new devices of its own, Android was the soul of several new products at CES 2018. While Google reigns supreme in the world of smart devices, the growing competition from Amazon Alexa isn’t going unnoticed. This year at CES, Google has brought it’s A game with a plan to rival display-powered versions of Amazon Alexa speakers. From its comfortable home on Android TVs to the untamed territory of smart speakers – Google Assistant is everywhere this year. Amazon may have kicked off the trend of smart displays with Echo Show, but Google isn’t backing down. The company is partnering up with the likes of Lenovo and JBL to bring speakers powered by Google Assistant. Adding the visual dimension to the smart assistant brings a flood of features. You get the ability to stream videos from YouTube, set your digital album with Google Photos, communicate with Google Duo and so much more. 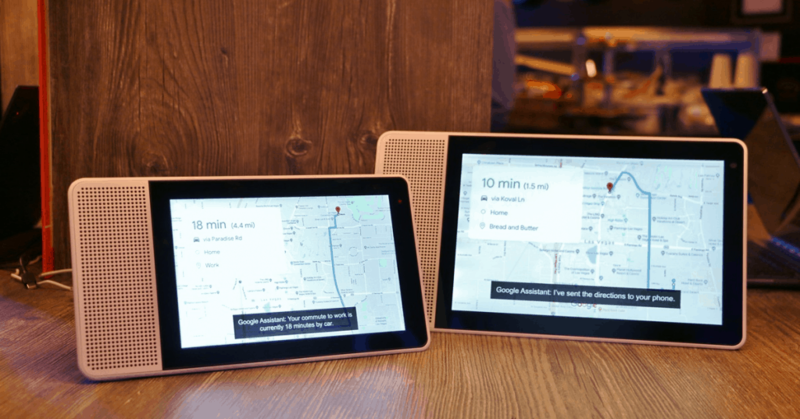 These smart display devices will be based on Android Things, the Android-based IoT platform that Google is developing. LG and Sony are also expected to debut their smart displays with Google Assistant as soon as this summer. But the fun doesn’t end here, as the virtual assistant is soon expected to power your Android Auto-enabled car too. Google I/O 2016 saw the birth of Daydream VR, which finally turned mobile VR into more than just a cheap gimmick. With the craze of virtual reality running rampant, the innovative Lenovo Mirage Solo is stepping forward. The Mirage Solo is unlike any Android VR headset that has come before since it doesn’t need a mobile device. With the same experience of the Google Daydream platform, Mirage Solo comes with the hardware built right into it. 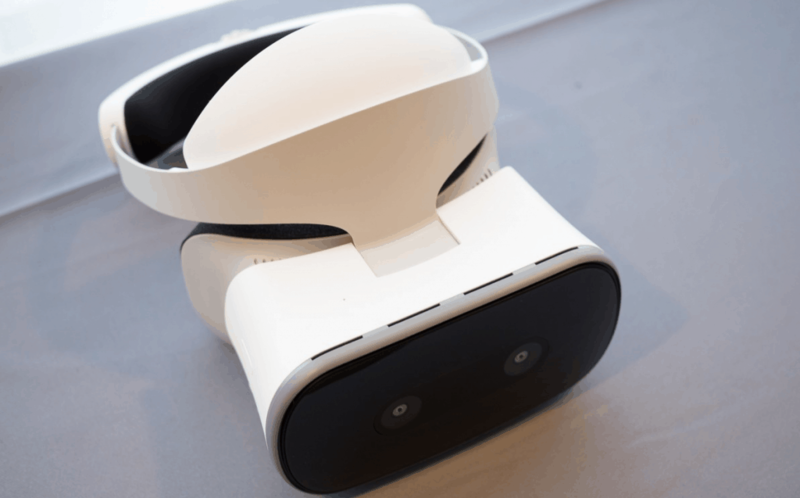 Based on the Qualcomm Snapdragon 835 VR platform, this Daydream VR headset comes with a 5.5-inch QHD display built-in. What sets the Mirage Solo apart is that unlike other Daydream VR headsets, it allows you to walk around the virtual space using its special “WorldSense” tracking technology. 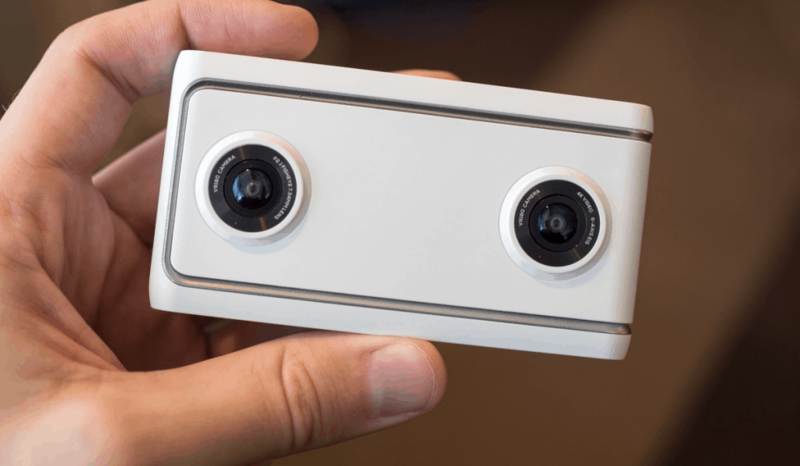 Apart from the VR headset, Google was also behind two point-and-shoot VR cameras – Lenovo Mirage and Yi Horizon. Both these VR cameras record in the VR180 format that was unveiled by YouTube CEO, Susan Wojcicki at VidCon last year. If you have an appetite for the sharpest, most eye-catching HDTVs this year, CES is the place to be. Sony not only bets heavy on its Bravia lineup of OLED TVs but surprised the crowd with something unexpected. The Japanese tech giant has added not just one, but three new Android devices to its Xperia series. The only major Android OEM to launch a range of smartphones at CES this year, Sony is going in with an “affordable devices” angle. The updated versions of all the three devices do one thing that Sony knows best – taking excellent pictures. The Xperia XA2, XA2 Ultra, and L2 have a powerful 8MP front-camera that can capture 120-degree selfies right away. 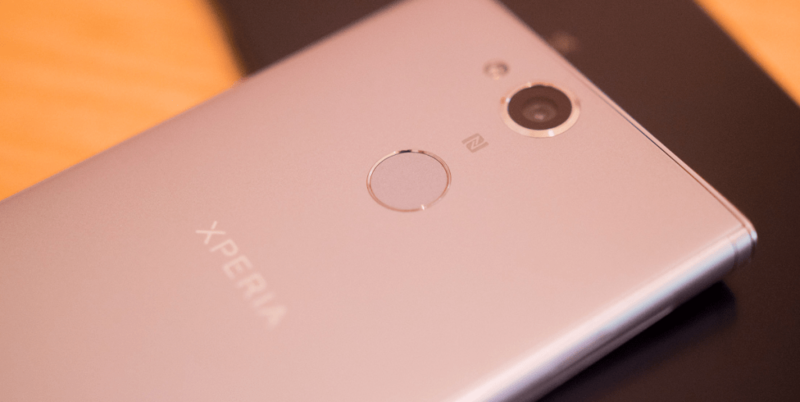 Previously, Xperia devices in the United States were launched with a non-functioning fingerprint scanner that is built into the power button. However, Sony has changed this flaw by bringing the fingerprint scanner to the rear, similar to most devices these days. Google continues to wage war on Amazon Alexa as it partners with Sony to have your ear at all times. 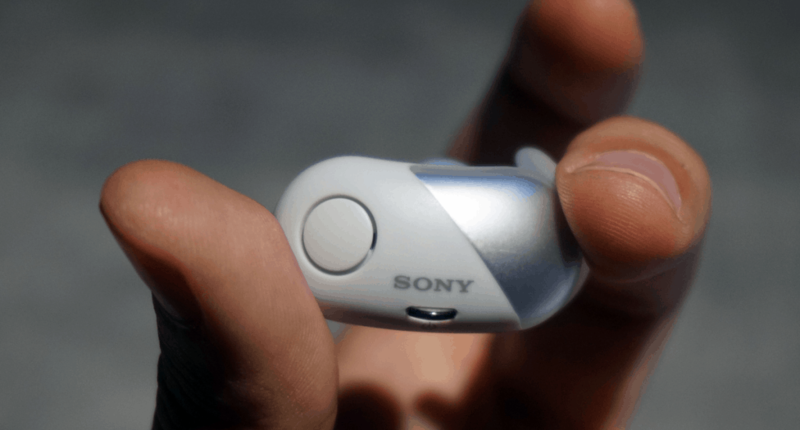 Sony is going after Apple AirPods with the WP-SP700N Bluetooth noise-canceling earphones that come with a unique pill-shaped design. While the Ambient Mode for awareness is awesome, the support of Google Assistant is what gets it over the top. With its very own case that doubles up as a charger, the WP-SP700N comes with its very own companion app to customize the EQ settings. But that’s not it, Sony is bringing the support of Google’s lovable virtual assistant to 5 older Bluetooth earphones. WH-1000XM2, WI-1000X, WF-1000X, WH-CH700N, and WH-H900N are the models that will soon get “Ok Google” support from Sony, with the ability to control music, receive notifications and communicate via messages. A gaming company developing a mobile device seemed absurd until the stunning Razer Phone came along. At CES 2018, Razer is now going after Android OEMs who have tried to offer a desktop-style experience with platforms like Samsung DeX with its very own Project Linda. Razer has created a hardware platform for the existing Razer Phone to connect with and turn all that powerful mobile processing power towards a larger display. Designed for the Razer Blade Stealth laptop, Project Linda comes with an open slot instead of a regular touchpad. This open slot is where your Razer Phone fits in, which then connects to the laptop hardware using a retractable USB Type-C plug. This turns your phone’s display into a touchpad for the laptop, while you get to enjoy the large display with Razer’s very own Linda UI. 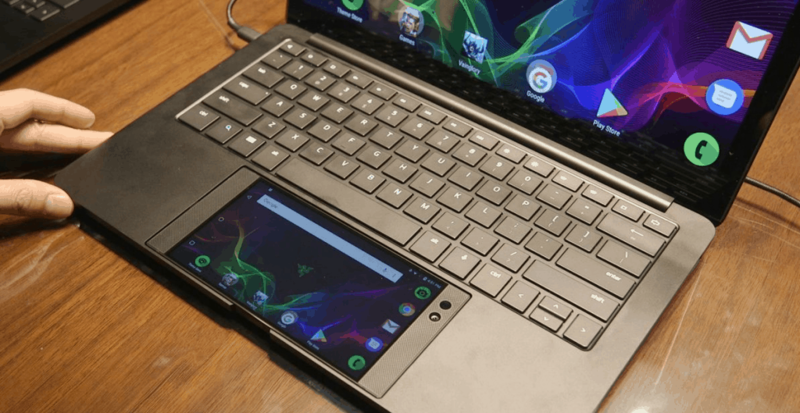 The concept is definitely appealing and according to Razer, powering your laptop with your Razer phone is just the beginning. Based on the concept, Razer hopes to license their design to other manufacturers, who can then build computers that can virtually dock any compatible mobile device. With the bezels of modern Android devices shrinking, there’s simply no space for the fingerprint scanner on the front. This is the very reason Synaptics developed a fingerprint scanner for mobile devices that is built right into the display. The company had promised to showcase the revolutionary technology in partnership with a “Tier 1” manufacturer, and it has delivered. CES 2018 marks the unveiling of the first Android smartphone with an in-display fingerprint scanner. The phone sporting this technology was presented by the Chinese tech company Vivo, and it is expected to be the greatest trend among Android devices in 2018. 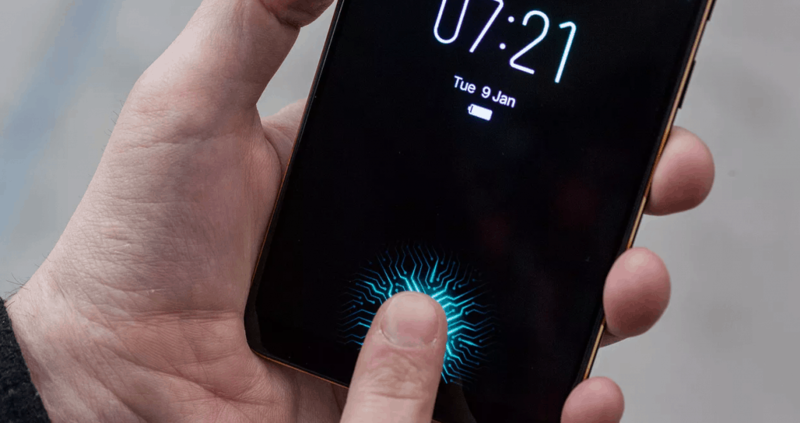 However, users have certainly noticed the fact that the in-display fingerprint scanner is significantly slower than the traditional ones. Synaptics has quoted a 0.7-second response time, more than thrice of the what you’d experience on the most devices (0.2 seconds). The technology should catch up soon enough as manufacturers hope to bring it to the top Android phones of 2018. What the biggest announcement at CES 2018 so far in your opinion and why? Have we missed a major unveiling that no Android geek can afford to miss out on? Be sure to hit us up in the comments section below and speak your mind.